To learn more about these great places, simply click on their logo. Offering classes & private sessions for dog owners for any breed and any age. Located in the English Plaza shopping center between W. Front & White Street in Red Bank. 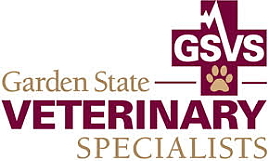 Located in Fair Haven, Dr. Greg Henis & Dr. Janice Hinchliffe offer exceptional veterinarian services for your pet(s) medical needs. Both are formerly of Red Bank Animal Hospital. Looking for your next four legged, furry soul mate? Don't shop, adopt your next pet through the nation's biggest database of all the rescued pets in shelters & private rescues. Search by breed, age, gender and zip code. Leave the dirty work to the professionals. Serving Monmouth, Middlesex & Ocean counties. Located in Monmouth County, owner Sonya Kolb captures priceless moments in natural environments that will become keepsakes of your precious pooch.